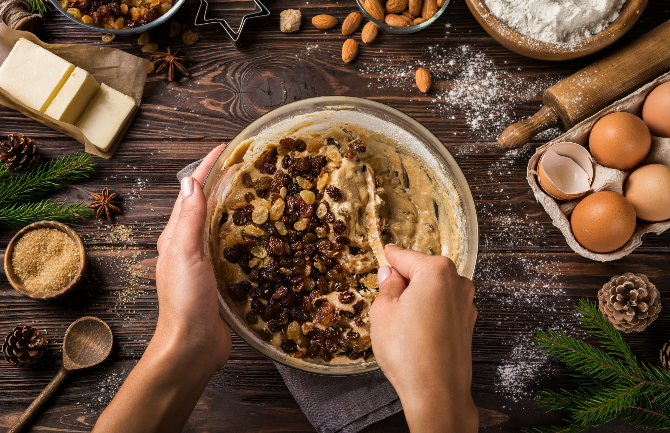 It’s that time of the year when you need to start thinking about making your Christmas cakes, so Ragus has come up with the perfect recipe to make life simpler for you as the festive season draws nearer. The idea behind making a Christmas cake a few weeks before the big day, is so that all the flavours of the dried fruits baked together with the spices, eggs, flour, and butter have time to mature, and react with one another, which in turn makes the flavours more intense. Ideally, a Christmas cake should also be fed at regular intervals with a little of your chosen alcohol to produce a deep, moist, rich-flavoured cake. Christmas cake is an English tradition that began as plum porridge. People ate the porridge on Christmas Eve to line their stomachs after a day of fasting. Soon dried fruit, honey and spices were added to the porridge mixture to give it more flavour and texture, and finally Christmas pudding was born. The traditional Christmas fruit cake that we all know, and love, is a derivative of the Christmas pudding. One of the key ingredients in a Christmas cake is black treacle, a product that Ragus makes and supplies to manufacturers world-wide. Ragus’ Black Treacle is a mixture of 50% refiner’s syrup and 50% molasses. 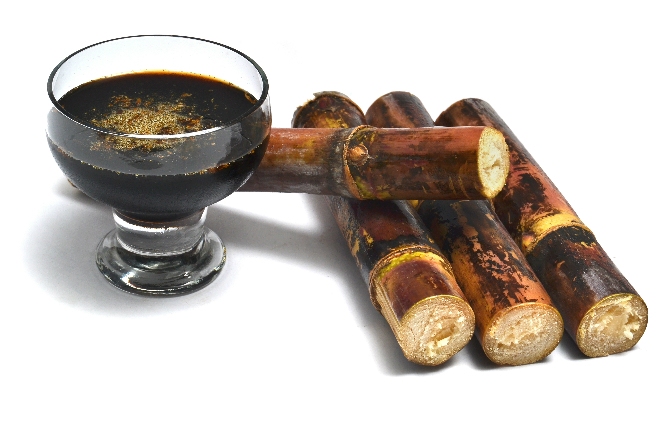 It has a robust flavour similar to Cane Treacle, with a more rounded, smoother flavour than molasses. Black treacle is a thick, dark, sugar syrup which is used in rich bakery products, Christmas puddings, rich fruit cakes, toffees, savoury sauces and marinades for cooking. · Add flour, stirring all the time. Don’t over beat! If you don’t have Ragus’ Black Treacle you can always use Ragus’ Golden Syrup instead. With a distinctive mellow tone, our Golden Syrup performs the same task as invert syrups but with added flavour and subtle golden colour. It is used in baking, biscuits, cakes, flapjacks and puddings.